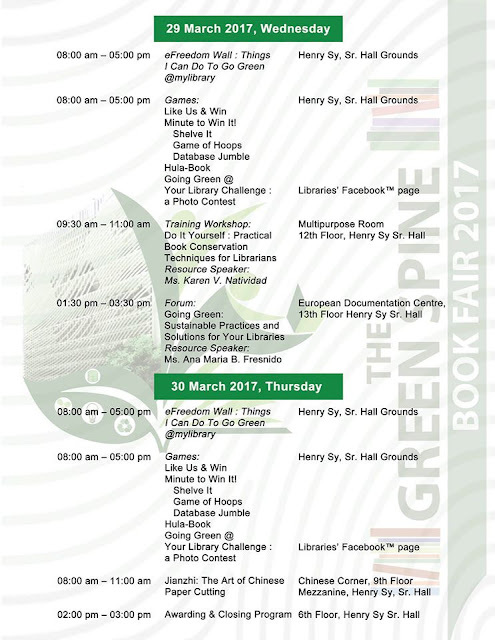 Library Newsette: The Green Spine 2017 is going green. 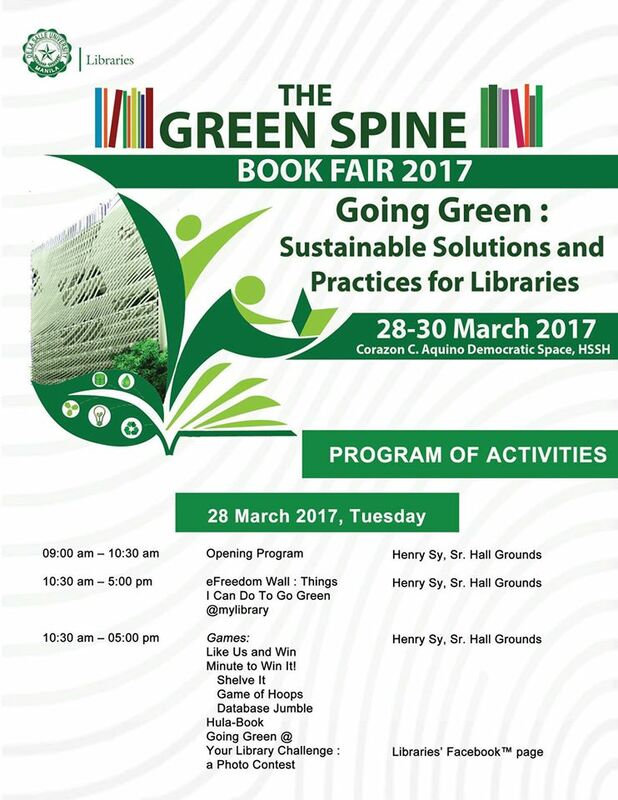 The Libraries cordially invites the academic community to The Green Spine 2017 : a Book Fair with the theme "Going Green: Sustainable Practices and Solutions for Libraries" to be held on 28-30 March 2017 at the Corazon C. Aquino Democratic Space, Henry Sy Sr. Hall Grounds. The Green Spine primarily aims to promote the culture of reading for better education and self-empowerment by bringing the books closer to the academic community. It also endeavors to support the Turn One into a Million book drive project of the Libraries. All faculty members, students and staff are most welcome to visit the exhibitors’ booths and select books for their academic learning and pleasure reading. Interesting workshops, lectures, games and other events are in store during the 3-day fair. No registration fees required. Below is the schedule of activities. See you at the book fair!